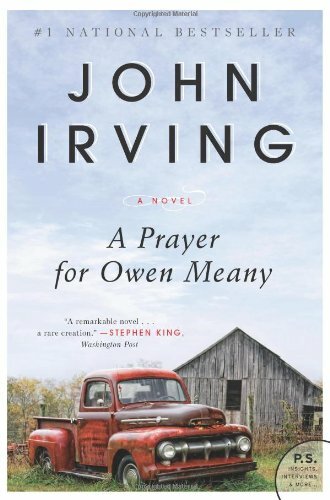 I am doomed to remember a boy with a wrecked voice—not because of his voice, or because he was the smallest person I ever knew, or even because he was the instrument of my mother's death, but because he is the reason I believe in God; I am a Christian because of Owen Meany.In the summer of 1953, two eleven-year-old boys—best friends—are playing in a Little League baseball game in Gravesend, New Hampshire. One of the boys hits a foul ball that kills the other boy's mother. The boy who hits the ball doesn't believe in accidents; Owen Meany believes he is God's instrument. What happens to Owen after that 1953 foul ball is extraordinary.